Nokia Lumia 1520 is a beast of a device and what we love most about it is that gorgeous FullHD (1920×1080) display it comes with. The display is super sensitive as with most Nokia smartphones which means you can use the screen with your nails, your gloves on but there were people complaining the Lumia 1520 display to be too sensitive and Nokia has heard all the complaints and have rolled out a minor update which fixes the issue. The update is not a firmware update but you get it through the Store under Extras+Info and the version 3.4.3.5 is the update. If you are using a Lumia 1520 and have received the update, tell us in the comments if the issue is now resolved. 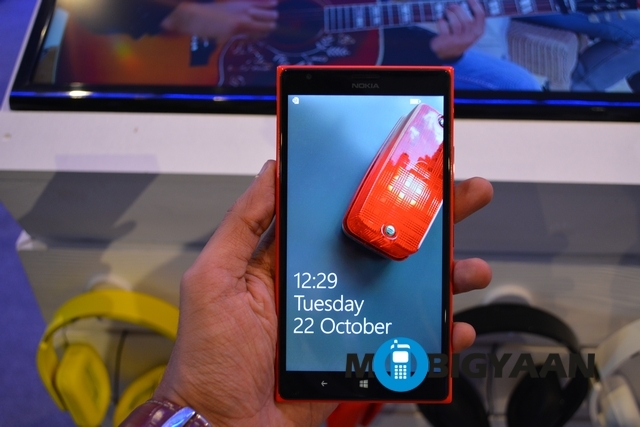 In case you are planning to buy Nokia’s phablet, you might want to check out our hands on. MobiGyaan turns 5 years old!